LeBron James will make his feature starring debut, playing himself in "Fantasy Basketball Camp," a Universal Pictures and Imagine Entertainment comedy that Brian Grazer is producing..
Camp is a comedy about five guys from different backgrounds who come to Vegas to live out their fantasy by attending the LeBron James Adult Basketball Camp. While it should be enough that these dreamers get to breathe the same oxygen as their hero, the campers drag James into their various life issues, ranging from serious to idiotic. Sounds like another "Hangover" type of film to me. Grazer says that the picture came out of meetings he had with James and his partner Maverick Carter. "I initially sought LeBron out because my 8-year-old son, Thomas, and I were just dying to meet him, but I felt that beyond being one of the world's great superstar athletes, here was someone so relaxed and comfortable with himself that he would have the capability to be that way onscreen," Grazer said. "Later, when I watched him host 'Saturday Night Live,' and saw his advertising work, it was clear he can do this." James will be executive producer along with Carter and Imagine's Michael Rosenberg and Kim Roth. The intention is to begin production next summer. 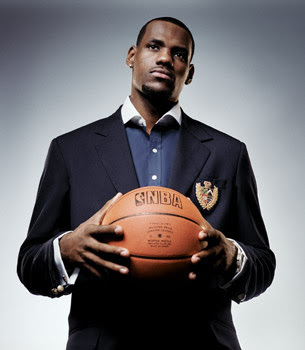 James is also the focus of the documentary "More Than a Game," which explores his high school years in Akron, Ohio. Lionsgate is releasing the doc starting with Oct. 2 openings in Los Angeles and New York, according to Variety.